City centrism has become an enduring, dominant and familiar narrative and policy mix. Portrayed as an account of necessarily connected events, it has been generalised into an international recipe for urban prosperity via a myriad of identifiable and high profile academic gurus, international agencies, and think-tanks. Simplified and repeated into messages that can be understood and implemented by national and city policymakers. In short, fix the city centre and the economic growth will trickle-down throughout the wider city-region. City centres are interpreted as the principal engines of economic growth and dynamism for their wider city-regional and, ultimately, national economies. The economic logic is based upon ‘external economies of agglomeration’ generated by thick labour markets of educated and skilled labour, spill-overs of innovations and knowledge, market size effects, and linkages amongst associated goods and services activities as the route to higher productivity, economic growth, innovation, incomes and prosperity in cities. Drawing upon urban economics, especially its US varieties thought-up and derived from the empirical experiences of US cities, primacy is given to urban scale, density and economic integration between cities and their hinterlands to reduce geographical and social frictions and enable rational sorting of people and capital over time and space. Policies that work with the grain of this dominant logic are favoured including planning liberalisation, education and skills upgrading, facilitating labour mobility and bringing places closer into their central city growth orbits, often through improved ‘connectivity’ and intra-city transport connections, and business and political leadership and devolved powers and resources to the city-regional scale of ‘functional economic areas’. 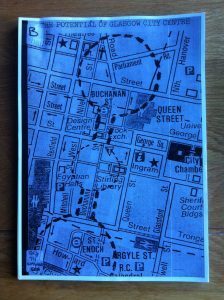 Emergent research from the ESRC-funded city evolutions research project into the urban predicament in British cities since the early 1970s raises some difficult issues for city centrism . Demonstrating markedly divergent pathways in output and employment, southern cities have grown faster than northern cities and large cumulative growth gaps have emerged since the early 1970s. While London’s turnaround since the 1990s is a particular and atypical case, elsewhere smaller and medium-sized cities have outperformed larger cities. City centrism, then, doesn’t appear to work for all cities everywhere all the time. Taking a longer-term evolutionary approach can help us understand when, where and why agglomeration as well as other factors such as their functions and non-spatial public policies may be important for certain economic activities and cities. It can also prompt us to look again and more closely at the relationships and transmission mechanisms of city centre growth to adjacent and outlying areas. For some city-regions, these seem to have been intermittent, weak or close to non-existent since the early 1970s. As the prospects and prosperity of British cities continue to diverge, the difficulties intensify of addressing those cities struggling to adapt and the people and places ‘left behind’. On city productivity growth, northern cities led during the 1970s and 1980s through manufacturing specialisation until their struggle with deindustrialisation led to a switch to southern cities from the 1990s https://www.camecon.com/2017/11/28/geographical-dimension-productivity-problem/. Yet the more service-based growth of southern cities has been less productive, slowing national average productivity growth, despite their relatively higher levels of skilled workforces and knowledge intensive business services. 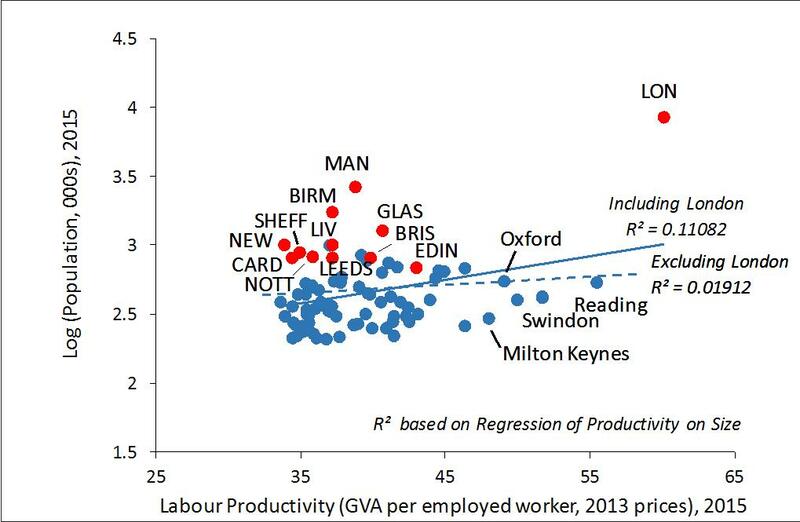 City centrism in Britain appears somewhat skewed towards a paler, lower productivity variant than elsewhere. As Figure 1 shows, there is only a weak relationship between city size and productivity . Scale and density are not always and everywhere the key determinants of city growth. Transition to a particular kind of urban service economy has been integral to this productivity slowdown, and cities have largely left any remaining urban manufacturing to fend for itself. Rather than relative neglect, analysis could be much more open to the possibility that the role of diseconomies of agglomeration may have been underplayed in this uneven city productivity performance as unbalanced spatial concentration has stoked more rapid price inflation of factor inputs in land and labour markets, negative externalities in congestion and pollution, and rising costs of infrastructure provision at least partly due to escalating urban land values. On city skills, city growth and high-skilled occupations are closely related. Skilled workforces are critical to growth with higher levels and faster growth in southern cities. Northern cities experienced slower growth of higher-skilled and greater hollowing-out of middle-range occupations. 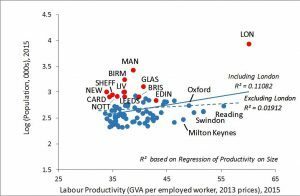 But the city centrism propositions of ‘smart cities becoming smarter’, and a positive relationship between agglomeration and high skilled employment growth do not appear to apply to British cities. Other factors have been more important and newer, smaller cities have led the pattern of high-skill growth. The urban service economy has become profoundly polarised in occupational terms. Yet, policies are sometimes overly focused on the higher-end jobs, occupations and people when they will only ever constitute a relatively small, albeit highly productive, part of the city economy. While the lower-end of the labour market which employs lots of people but has weak productivity is relatively neglected when its potential for productivity growth could be at least examined more thoroughly. Issues of job (re)design, progression and rotation in sectors such as leisure, retail, and social care could readily be addressed. Reducing the reliance upon thinking that is conceived from a particular US perspective and draws heavily upon empirical data from US cities might be a way to recover traditions of urban and regional analysis better able to explain the particularities of the British urban system. Time for some fresh thinking? Some deeply invested in city centrism may dismiss or fail to engage with this more finely drawn picture of city economic evolution in British cities and its challenge to the existing policy repertoire. Some will no doubt continue to argue and marshal evidence to show that it has not failed but has simply not been applied effectively, consistently or strongly enough: that most British cities are still too small and not dense enough, that insufficient emphasis has been given to attracting highly skilled people, that less skilled people have not been given sufficiently sharp incentives to sort themselves (out) and move to where the opportunities are located, that intra and inter-city transport networks are still not extensive enough, and that planning should have been further relaxed to encourage private investment. Yet, the magnitude of urban concerns in Britain after twenty-five years of city centrism suggests a more self-critical and reflective response, even a little soul searching. Is it time, then, to ask whether an overly narrow and singular focus upon city centrism has reached its limits? In the same way that we can look back at the other US imports of urban motorways and suburbanisation rife in the 1960s as historic and not entirely successful recipes for urban development in Britain, will we consider city centrism in the same way in the years to come? Can we think more broadly and imaginatively about different geographies of urban and regional development that better reflect the emergent international patterns and dynamics of city economic evolutions in urban archipelagos, patchworks and mosaics rather than simple and binary cores and peripheries? Countries across the world are experimenting with new metropolitan and other wider scale, pan-city-regional geographies in attempts to tackle the thorny problems at hand. Finding better ways to think about and design policies that support the combination of the dynamism of city centres with their hinterlands to the benefit of both is a pressing challenge for those thinking and doing city economy and policy. Andy Pike is the Henry Daysh Professor of Regional Development Studies at the Centre for Urban and Regional Development Studies (CURDS), Newcastle University, UK. He is part of the ESRC-funded project on City Economic Evolutions led by Professor Ron Martin at the University of Cambridge and involving other colleagues in Cambridge and the Universities of Aston and Southampton, and Cambridge Econometrics. 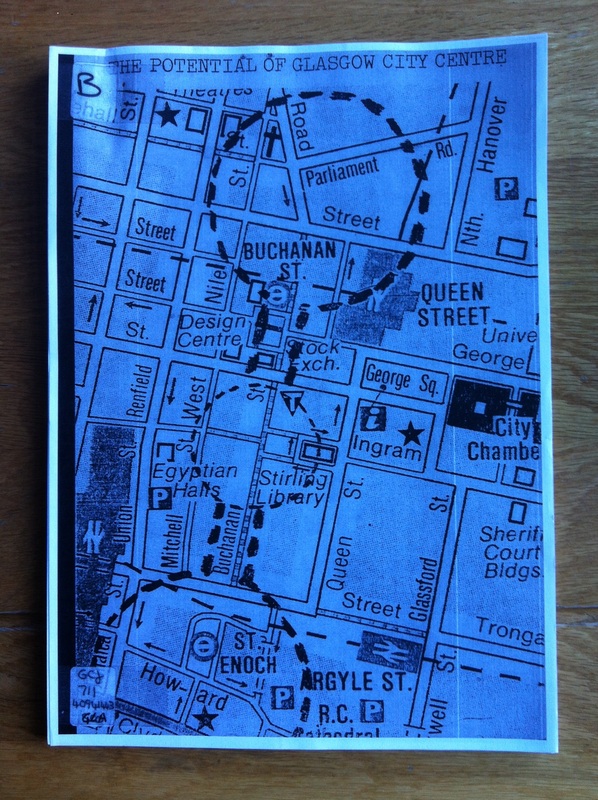 Acceleration of the transition to an urban service economy to “revitalize the city centre” (3), “stimulate the economic regeneration of the city as a whole” (3), and “lay the foundations of its economic future” (55) because service industries were the “only realistic opportunity for employment growth” (3). Central to this theme was an emphasis upon upgrading especially in terms of “attracting HQs” – building upon newly privatised Britoil’s move to Glasgow in 1982 – alongside stimulating demand for and growth of “business services” (10), expanding the “software industry” (20) especially applications in “office automation” and “interactive cable services” (20) for this “natural software capital of Silicon Glen” (24), and constructing a venture capital network. The development of “exportable” (10) services was important too including merchant banking, advertising, consultancy in construction and engineering, and computer software. Key measures were focused on improving the attractiveness of the city, business linkages to universities, and appropriate education and training provision. A central city focus upon the needs and dynamism of the urban core as the “natural location” (3) for most business and many consumer services. Integral was the creation of a “compact” (54) and “magnetic” (35) economic centre as the centripetal “spark” (35) for an “implosion” (35) of urban economic dynamism rather than a centrifugal explosion of decentralised suburbanism since by “avoiding sprawl and concentrating the nerve centres of the city, the fire may start to burn” (35). Identification of “commercial opportunities” (1) for “private sector investment” (1) assisted by the relaxation of conservation policies and provision of public support for existing building refurbishment. Improvement of the city’s “environment” (2) and “image” (2) to enhance the city’s “product” (2) and make it more “attractive” (2) as a business base. The aim was to retain especially the city’s better qualified and younger population and to attract people from outside such as corporate executive decision-makers, skilled, motivated and talented people – with the availability, cost and quality of “executive housing” (15) and “high-quality offices” (16) of particular concern – and other business (e.g. for specialised short courses) and tourism visitors. Improvement of “international airlinks” (14), road and rail travel connections. Joint or ‘partnership’ working between the public and private sectors including local and national government and specialised agencies. A turn to the US for examples and inspiration including the aquarium in Baltimore, Boston’s repeated reinvention, and the attractiveness of Atlanta, Minneapolis, and Californian cities as places to live and work. Indeed, the choice of McKinsey & Co. to produce Glasgow’s early strategic analysis is closely related to what has become an engrained enthusiasm for American urbanism in British urban policy. Such thinking was innovative at the time and relatively early compared to other British cities. Indeed, it was six years later at the close of the 1980s that urban scholar David Harvey coined the idea of ‘urban entrepreneurialism’ to capture this package of changes. Some twenty-five years on – a whole generation – these ideas have cohered into an enduring, dominant and familiar narrative and policy mix of city centrism. For Glasgow since the early 1980s, large scale, rapid and sustained deindustrialisation configured the formulation of multi-faceted development strategies and policies with particular objectives and the design of institutional arrangements with specific and integrated remits both sectorally and geographically (Glasgow Case Study report Working Paper 8). The relatively small size and weakness of the private sector and scale of economic change in Glasgow situated the public sector as the lead actor working with business leaders and public policies as the key interventions in trying to shape economic adaptation. As The Potential of Glasgow City Centre demonstrates, institutions and policies prioritised supporting transition to a service-led and city-centre focus to attract and develop growth sectors creating a particular service economy that has since shaped the further evolution of the city economy. The public sector institutions were hampered in their roles and responses to economic change through the UK and Scotland’s centralised governance system, the historical and ongoing change, churn and disruption in institutions and policies and their relatively small-scale in relation to the magnitude of change, and the effects of mostly spatially blind national policies such as macro-economic, research and education, and transport. City policies – such as spatial planning, city centre regeneration, investment attraction, innovation, and skills – have supported structural evolution towards services. However, they have struggled to influence the direction of the transformation, especially its drift toward lower productivity services and some but not large scale growth of higher-end services, or to deliver more inclusive forms of growth by better spreading the benefits of growth across the city and wider city-region. City centrism, then, presents more of a mixed picture than panacea for urban development and policy. CURDS has been wrestling with the potentials and perils of decentralised governance in the UK and internationally for many of its 40 years. It is great to have the opportunity to contribute to this timely and important debate, drawing upon ongoing research we have been undertaking within CURDS and as part of an ESRC project on structural economic change, adaptability and the roles of institutions and policy in British cities and the EPSRC and ESRC IBUILD infrastructure research centre work on funding, financing and governing urban infrastructure. Our argument is that there has been a torrent of hype and hope invested in metro-mayors as a governance fix for the current ad hoc and piecemeal episode of decentralisation in England. As claims have run ahead of evidence, the case for metro-mayors risks becoming an article of faith rather than of fact – alternative or otherwise! Clear eyed assessment and reflection is needed on the potential and perils of metro-mayors to make the most of their emergence and not end up disappointed with devolution in England…again. In England’s increasingly diverse and uneven governance landscape, what worth metro-mayors provide relative to other arrangements needs careful scrutiny. In assessing the brave new world of metro-mayors, it is important to recognise that there are different definitions of mayors internationally with different powers, responsibilities, resources and geographical remits. No single or universal type of mayor exists. This means we have to exercise caution in generalising from selective international evidence and muddling comparison of apples, oranges, and other fruits. This definitional point is particularly important because variation is embedded in the new English metro-mayoralties from the outset as a result of the deal-making that created them and will become ever more evident in the process of their establishment. Four main claims have been made for metro-mayors. The first is that metro-mayors will facilitate economic growth. They will be visible leaders able to make strategic choices on priorities, exercise power over policy levers and resources for areas including housing, skills and transport, and influence their partners in the public, private and civic sectors. Presiding over areas with populations ranging from 670k in Tees Valley to 2.8m in the West Midlands, they will be able to advance the economic integration and stimulate the agglomeration economies seen as central to urban economic growth. Yet this argument has not resolved the fundamental problem of isolating and attributing the role of governance institutions and policy in economic growth. After decades of trying, we still find it difficult to identify whether or not there is a causal relationship between forms of governance – including metro-mayors – and economic growth. And, if there is one, what is its direction, extent, nature and magnitude? Do ‘good’ mayors generate economic growth? Or is it economic growth that creates the conditions for ‘good’ mayors? International evidence is mixed and inconclusive. It demonstrates a variety of economic outcomes associated with a variety of governance arrangements. No convincing evidence supports the contention that metro-mayors in particular and distinct from other forms of governance deliver increased economic growth. Given the scale and nature of the task of closing productivity gaps of over 10% against the UK in Greater Manchester, Liverpool City Region, Tees Valley and the West Midlands, this is a big issue for the new metro-mayors. And this is without examining whether any growth delivered will be of a more socially and spatially inclusive kind. The second claim is that metro-mayors will provide authoritative and visible leadership, and cut through previously intractable policy problems. A single identifiable and accountable individual holding the metro-mayoral office and wielding its powers and resources will have the mandate and authority to forge a clear strategic direction and carry along key policy partners and the wider citizenry. A clear leader will provide a powerful voice for their area in its dealings with central government. A metro-mayoralty will even provide an answer to an English sub-regional version of Henry Kissinger’s apocryphal question of “who do I call if I want to talk speak to…?” – Greater Manchester, the Tees Valley or West Midlands. Evidence from around the world of charismatic and high profile mayors is elicited to support this proposition. This claim is bedevilled by lack of clarity on the definition, indicators and evidence for ‘leadership’. Too much reliance is placed upon selective, often anecdotal, stories of ‘success’ associated with mayors working in very different governance arrangements and contexts across the world. Too little attention is given to the negative effects of the concentration of political power in individuals and corruption cases which are also international. Many fear the English versions of metro-mayors are somewhat lightweight, likely to be hamstrung by their underpinning local authorities and unable meaningfully to operate in the UK’s highly centralised governance system. While there might well be learning from international experience for the new metro-mayors in England, the substance of such knowledge needs to be qualified and treated carefully rather than made a central rationale for this form of governance. A third claim is that metro-mayors will enhance local accountability and democratic engagement. Citizens will become re-engaged in the political process. The direct election of the metro-mayor will improve the connection between the political leader and voters. A closer and more visible relationship will be forged between public policy outcomes and political decision-maker. Another comparison and evidence problem confronts us in assessing this claim. There are no current metro-mayors in England, except the atypical case of London, and large economic and demographic size differences are evident in international cases, for example in US metros. Voter turnout in US mayoral elections has declined precipitously in recent decades. New directly elected mayors in Germany have experienced falling turnouts too. There appear to be only rare improvements in electoral turnout for single local authority directly-elected mayors in the UK. Whether electorates will identify more with a larger functional economic area than a single local authority is a moot point. Against the broader and deeper currents of popular disenchantment and political disengagement, can metro-mayors realistically be expected to turn the tide? The last main claim is that the mayor will work better at the metropolitan rather than individual local authority scale. A wider geographical remit enables policy co-ordination and integration across a functional economic rather than administrative area. Higher level governance arrangements will facilitate longer-term strategic planning and development. Metropolitan scale metro-politics can rise above lower scale local parochialism. Scrutinising this claim again raises some evidential issues. The relationships between the mayor and public policy outcomes depends upon numerous things such as the urban structure whether monocentric or polycentric, economic and social conditions, and population and governance arrangements in each case. Metro-mayors are comparatively rare internationally making it difficult to evaluate them. Higher growth cities such as Hamburg and San Francisco and ‘liveable cities’ such as Melbourne, Sydney and Vienna are governed at the city scale not the metro region. Many well-governed metro-regions – such as Lille metropole and Metropolregion München – lack a metro-mayor and are governed through inter-governmental co-operation systems. Now questioning these claims with evidence does not mean we are wholly against the new metro-mayors in England. Amidst the history of ongoing churn and disruption of different forms and geographies of decentralised governance in England, a central lesson appears to be take what’s on offer, try and make it work, and push towards the next reform. In that spirit of muddling through, the central questions for the new metro-mayors to address and reflect on are: how will you facilitate economic growth? How will you exercise leadership and resolve troublesome policy problems? How will you achieve higher voter turnout and greater accountability? And, last, how will you demonstrate that the office of metro-mayor delivers an improvement on other forms of governance? John Goddard and Ellen Hazelkorn examine the policy and leadership challenges of higher education’s engagement with the outside world. Across the US and much of Europe there is a growing populist backlash against globalisation. Almost everywhere there is a decline in public trust, and less public tolerance of institutions, such as universities, which are perceived to be promotors and beneficiaries of this process. This is exemplified by international mobility of students and academics and their fostering of cultural diversity and cosmopolitanism over national identity. This backlash is reflected in support for Donald Trump, various populist parties in national and European parliamentary elections, and most notably in the English (as distinct from UK) vote in favour of Brexit. As one analyst has noted: “The vote for Brexit was delivered by the “left behind” – social groups that are united by a general sense of insecurity, pessimism and marginalisation, who do not feel as though elites, in Brussels and Westminster, share their values, represent their interests and genuinely empathise with their intense angst about rapid change. Thus support for remain ranged from 18% of those with no formal education, to 57% among with those with a degree and 64% of those with a postgraduate qualification to 88% for academic staff. Not surprisingly university towns were islands of remain in a sea of Brexit. In US counties with a leading university, Hillary Clinton was 11 points on average higher than her state-wide percentage. For example in Orange County the home of the University of North Carolina she received 74% of the vote but lost the state with a 48% score. People with lower geographic mobility who had not moved around the US or had an international experience were also more likely to vote for Trump. For the Brexiteers university lobbying before the vote was interpreted as narrow, self-interest in terms of access to research funding, “foreign” EU students and academics. During the US presidential election politicians frequently rubbished the knowledge and wisdom of academic “experts”, not least their stance in relation to global environmental challenges. As one of the leading Brexit campaigners, a former minister of education in the UK observed “I think people in this country have had enough of experts”. For them “the people” of a nation are deemed to know what is right and wrong intuitively. This turbulent environment poses major challenges for universities and their leaders. Disregarding party political interpretations, the electoral maps in the UK and US highlights an enormous gap between universities and university towns, and their publics. It raises fundamental questions for universities about how best to engage with local civil society as well as competing in the global higher education market place. There is both a necessity and opportunity to develop new frameworks and processes, to re-assert the “public good” role of HE and to reconnect the university with its multiple publics. Seeking to widening participation in higher education, addressing social exclusion through student-community action and promoting economic development through university-business research links is not enough. Rather the underlying institutional structures of the established university need to be transformed so that civic engagement is embedded across the whole institution. In The Civic University: The Policy and Leadership Challenges we seek to address this challenge by developing a normative model of the university contributing to the public good and from this model draw out practical lessons for university management on how to embed engagement with civil society in the heartland of teaching and research rather than as an inferior “third mission”. We codify the extensive academic literature in this field and review higher education and other public policies that both drive and inhibit civic engagement both globally and locally and report on a developmental process guided by us in eight institutions in four northern European countries: University College London and Newcastle University in the UK, Amsterdam and Groningen Universities in the Netherlands, Aalto and Tampere Universities in Finland, and Trinity College Dublin and the Dublin Institute of Technology in Ireland. Key questions addressed include: What is the Civic University, and how can we use this concept to understand higher education’s engagement with the outside world in varying institutional and geographical contexts? What are the appropriate internal structures and mechanisms required for a university to effectively encourage and support civic engagement activity for the greatest societal impact? How can embedding civic engagement in individual institutions and the steering of higher education systems be facilitated by changes in higher education and related policies at the sub-national, national and European level? This last question is particularly important given the policy silos that exist between higher education, research and innovation and city and regional development in many countries and in international organisations like the European Commission. All of these stakeholders need to recognise the changing nature of innovation – underpinned by the widespread adoption of digital technologies – from a linear process to one requiring co-production of knowledge with users including business and citizens working together in particular places to address grand societal challenges like climate change, demographic ageing and migration flows. Leading universities all too often receive funding for upstream scientific research with no attention being paid to societal needs, impacts and benefits or the development of downstream absorptive capacity. 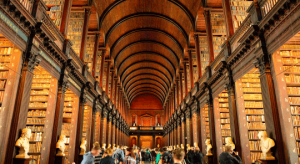 Higher education policies and metrics like citation indices and other performance metrics simply reinforce practises within universities that reward the academic community in a very narrow way and do not incentivise engagement with civil society. In this context, the concept of the “civic university” is especially timely. Historically, of course, it formed the bedrock of higher education – the great Victorian foundations in the north and midlands of England, the land-grant universities in the United States. But more recently they (or, more accurately, their values) have been shouted down by the drumbeat discourse of “world-class” universities driving a schism between local, regional, national and global responsibilities and priorities. Some people may argue that this is not higher education’s purpose. We disagree. challenges that threaten the future of humankind. Universities need to rethink what it means to be a public institution in the 21st century, in part because the publics which support higher education through taxation need to believe that they are getting value. But also, higher education needs to make itself relevant to the global challenges that threaten the future of humankind. This reformulation of an old idea, the civic university, challenges us to ensure that through teaching, research and engagement, universities place themselves at the centre of the local-regional-global nexus, working multi-laterally and multi-dimensionally, to make a difference. The civic university is a value statement as much as a new way of organising higher education; it is about encouraging universities to have souls, to nurture a normative commitment to improve the lives of communities, regions and nations and the world at large. John Goddard is Emeritus Professor and former Deputy Vice Chancellor at Newcastle University, UK. Ellen Hazelkorn is Policy Advisor to the Higher Education Authority (Ireland) and Emeritus Professor and Director, Higher Education Policy Research Unit (HEPRU), Dublin Institute of Technology. The idea that cities are engines of economic growth has become a central focus for policymakers across the UK and is core to the current devolution agenda. Yet in the wake of the global financial crisis, economic downturn and faltering economy, anxieties have grown about the kind of growth being pursued and its social and geographical character and reach. It is vital that devolution deals are focused on inclusive growth that is open and spreads prosperity to all. International organisations such as the IMF, OECD and World Bank have raised concerns that policymakers are pursuing growth that is economically, socially and environmentally unsustainable and becoming more unequal between people and places. While ad hoc, piecemeal and rapid, devolution in England is an opportunity to deliver new forms of growth that are more equitable, just and inclusive. This means creating economic opportunity in the form of decent, sustainable and productive employment that is accessible to people across society, regardless of economic status, ethnicity or location. The new governance institutions and spaces being opened up through devolution provide opportunities to think differently about growth, albeit in the context of austerity and a still highly centralised political economy. International experience from the US, Europe and beyond suggests that there are three key steps that need to be taken to ensure devolution delivers the inclusive growth required. Firstly, those running to be elected mayors and to lead combined authorities must set the agenda and set out a vision and commitment to inclusive growth. This requires recognising that inequality is a drag on further growth in our cities and generates huge economic and social costs both nationally and locally. Innovative solutions are required that are tailored to the local areas and address local challenges. Secondly, combined authorities and elected mayors must work to remodel city development strategies and policies around inclusive growth. They should prioritise sectors such as construction and manufacturing in which more productive and better quality jobs with opportunities for development and progression can be pursued. Support can be provided by institutional reform of the local training and skills system. Finally, authorities must open up their structures and processes to include a wider range of voices in formulating and designing locally appropriate inclusive growth strategies and policies. Community engagement is central to ensure that a broader range of interests is involved in developing initiatives to create more and better jobs and ensure prosperity is spread more evenly across cities and regions. Such endeavours will also help increase the accountability and transparency required for devolution to have legitimacy in the eyes of the electorate. Devolution offers a unique opportunity to improve the social character and geographical reach of economic growth. Elected mayors and combined authorities must grasp the potential of inclusive growth and remove the brake on the ambition of achieving more and better jobs for all. Stuart Dawley and Danny Mackinnon are part of a research team who have received funding from the Research Council of Norway for a 4 year project looking at the Internationalization of Norwegian Offshore Wind Capabilities (InNOWiC). Funded through the EnergiX programme, InNOWiC is being led by Professors Asbjørn Karlsen of NTNU, Arild Aspelund, Alf Steinar Sætre and Øystein Moen along with Markus Steen (SINTEF). A new research project at the Department of Geography, NTNU, will address the issue of developing competitive capabilities for the rapidly developing international market for offshore wind power. The project draws on our previous research on the diversification oil and gas related industries into offshore wind. As we have recognized that extensive development of offshore wind projects is not relevant domestically and there is lack of political will even to support pilot projects, we have turned the focus primarily on the export of technology and the further internationalization of the Norwegian supplier industry in the context of offshore wind. The project will contribute with new knowledge on factors and framework conditions that promote or hinder Norwegian technology (products/services) to enter three different international offshore wind markets. How can Norwegian industry firms develop competitive capabilities, including cost reduction, in order to succeed in offshore wind markets internationally? We will investigate how innovation and restructuring in Norwegian industries (notably petro-maritime), will help to couple Norwegian firms to the offshore wind global production networks. Furthermore, we will explore whether the outcomes in terms of value creation is to the benefit of Norwegian regions. First we will map the offshore global production networks. Second we will compare offshore market context in three major offshore wind markets, namely the British, the German and the French. Third we will investigate the development of Norwegian firm capabilities. We will also investigate the role of public actors in supporting the industry in developing capabilities to fit the needs of lead firms in global production networks. The research project will contribute with new and relevant knowledge for the realization of this. The recent climate summit in Paris has set ambitious targets for reducing global heating and put pressure on states to decrease their greenhouse gases emissions. Some European states are ahead in developing renewable energy technology to substitute energy based on fossil fuels. In Norway, the climate summit has revitalized the “life after oil” discourse and the issue of how to restructure the domestic economy away from its currents state of oil dependency. For oil and gas related industry, the steadily price drop on crude oil since the summer of 2014 is even more demanding, and there is a quest to diversify the products and markets of the industry. Domestic unemployment figures are increasing due to a downturn in domestic industry and some local economies particularly dependent on the oil and gas sector, are hit even harder. Maritime industries generally and oil and gas suppliers particularly are challenged by the downturn in the traditional market, but some of them find the fast growing offshore wind projects in the North Sea as obvious markets to enter. Infrastructure, competence and experiences from oil and gas and maritime operations are resources relevant also for the development of the offshore wind sector. Firms diversifying into offshore wind from other sectors (such as oil and gas) may strategically switch between their core sector and the new market, but also in new ways combine capabilities and networks related to the two markets. Findings gained through the project will be communicated to industry leaders and policy makers and we will provide them with novel and vital knowledge for decision making on the advancement an environmental friendly energy technology. Our findings will also be relevant for other renewable energy technologies in similar contexts. In collaboration with partners, the Department of Geography at NTNU has recently received a research project funded by the Research Council of Norway for a four year period. Our application was among the 12 out of 56 applications on research projects that have succeeded in receiving funding from the ENERGIX programme. The interdisciplinary project team involves researchers at NTNU (Department of Geography and Department of Industrial Economics and Technology Management), SINTEF Technology and Society and CURDS at Newcastle University. It also includes a grant for a PhD position at the Department of Geography, NTNU. The current focus of strategic leaders within many universities is on traditional fields of interest e.g. the future of Research Excellence Framework, the proposal for a new Teaching Excellence Framework, a new body to be called Research UK, and a new Office for Students. This is understandable in the context of the Green Paper as moves to both ‘marketise’ and regulate the sector gather pace, and also in terms of what is, at least initially and in headline terms, widely perceived to be a ‘better than expected’ outturn to the Spending Review in November 2015. Meanwhile, the ‘devolution revolution’ is also gathering pace with the strong support of the Chancellor. The Cities and Devolution Bill has sailed through its committee stages. Royal Assent is expected early in 2016. This may well lead to lead to a slew of new devolution deals spreading South from their current homeland in the North. Some universities may consider that devolution will only have marginal impact on their strategic direction, activities and funding regimes. That may well be the case for some institutions. But, for many devolution will inevitably have important direct and indirect implications. Some funding streams, currently managed nationally and targeted directly at the higher education sector may well be effectively substituted with newly devolved programmes within which universities are only one type of potential contributor and beneficiary. In particular, the new Combined Authority Investment Funds with loan repayments of £30-£50 million pa guaranteed by government for 30 years, when aligned with other funds that can be levered against that security, provide both a major re-alignment of provision and a significant new possible source of investment finance. Moreover, current national programmes nominally targeted at ‘excellence’ wherever it is exists, are increasingly challenged by the growing call from devolutionists for place based implications to be much better understood. The content of the Expression of Interest for the new Science and Innovation audits provides evidence of this growing tension. The recent update by HEFCE on the financial state of the sector confirms that universities are continuing to invest heavily in their infrastructure. Many of these proposals have transport requirements. The need for a new roundabout, traffic management system, green travel plans, bus and cycle lanes etc are often very evident. Devolution solidifies the localisation of this type of transport funding. Strategic planning – including the choice of strategic investment sites, including where to base Enterprise Zones – is again more heavily localised within devolution deals. In terms of the skills agenda, reductions in capacity and need for infrastructure are set to scale down substantially. Many colleges provide an important input cohort for local universities and, of course, increasingly, more HE is now delivered by FE. Many local universities will need to better understand and inform the (devolved) Area Based Reviews, especially as they consider the potential implications of the new emphasis on Higher/Degree Level Apprenticeships funded, at least in part, by the new Apprenticeship Levy. At the same time, and closely linked, the greater emergence of a new range of innovative forms of financing, particularly of ‘risk-based’ and ‘value-capture’ programmes, seeking to invest in large scale infrastructures are likely to radically change in the medium term the scope and structure of external finance for universities. The work emerging from the EPSRC funded iBuild project provides insightful and authoritative depth of analysis. The growth of university bonds, and the emergence of municipal bonds at difference scales, especially those focused on the green economy and climate change, are buoyed increasingly by investment fund managers seeking stronger rates of return than available on the long term basic money markets. The European Investment Bank is seeking new opportunities, supported by political impetus provided via the new EFSI programme, which itself is designed to lower further the cost of capital. Nationally, BIS is moving rapidly from grants to loans in terms of its innovation and business support programmes. Universities will want to help signpost and help to make available support from these funds to the firms with whom they work on contracted and collaborative research programmes. The move to a ‘pan-LEP’ ‘super’ EU backed venture capital fund across much of the Northern Powerhouse area can only be seen as the first of several such integrated programmes of scale. In terms of the possible scale of funding involved, the (probably difficult) move to localise 100% of business rates may yet emerge as the most significant of all these new sources. As a minimum, such devolution of business rates will immediately give rise to greater transparency of the valuation process. Will the ongoing need for redistribution across localities mean that policies for discounts will also need to be devolved? Regardless, localisation of business rates will certainly, as intended by the primary purpose of policy, shape what will be seen as more advantageous proposals for new developments. New office blocks will surely be more attractive to cash-poor local authorities than more new blocks of student housing. Conversely, and more positively, the localisation of these taxes may well provide opportunities for more partnership based, integrated programmes of development, where the value of large scale investments planned by universities can be realised and mixed with the aspirations and activities of other actors in the local state. The marketisation of the sector and devolution, taken together, requires universities to manage both vertical and horizontal relationships simultaneously, dealing strategically with different cultures and motivations in an increasingly borderless form of multilevel governance – a form of decision making which some within the sector work hard to understand and manage. New skills, managerial and organisational responses are needed, especially the need for actors and agencies who can span boundaries between the different sectors, policy domains and forms of investment finance. A devolution ‘deal’ has finally been agreed for the North East. Delayed by disagreements and negotiations between HM Treasury, Whitehall departments and the local authorities involved about exactly what would be released from the centre, where the LEP would sit and to whom it would be accountable, and how a commission on health and social care would work. Such haggling is characteristic of the deal-making integral to Government’s ad hoc and piecemeal approach to decentralisation in England. Deals have been positive in providing a channel for local-central dialogue, innovation and strategy-making, and governance reform. More problematic are the uneven information and power between the negotiating parties, the lack of transparency, the limited capacity locally and in Whitehall departments coping with expenditure cuts, and the limited evaluation of progress to date. Doing decentralisation this way has been complicated by Government’s lack of clarity in specifying exactly what decentralisation is for: local economic growth? Rebalancing? Savings and public service reform? Addressing societal challenges like ageing and climate change? All of the above? International analysis on the impacts of decentralisation is mixed. There is however evidence that giving local actors more say over certain elements of territorial development – such as business support, EU funding, housing, investment, skills and training, and transport – are helpful. For the North East, then, such things are a welcome step in the right direction. Less clear are the resources involved and whether they are new and additional money from the centre or the local delegation of the risks of new borrowing and taxes. Requiring elected mayors as part of the deals – an oddity in the context of ‘localism’ and their recent democratic rejection in 2011 – sits on shakier ground. International evidence on mayoral success is highly selective and fails to nail whether they are catalytic or merely contributory factors in territorial development. Even if the more positive story of mayoral influence is accepted, it is not entirely clear how they will do their job in a city-regional context with potential local authority veto within the combined authority. Assessing whether or not such deals are good, bad or indifferent is difficult. In such an opaque process, who knows exactly what was on or off the table? Is what the North East has agreed the best package it could have got? The deal is smaller and narrower in scale and scope than those agreed with Greater Manchester and Sheffield city-region. Perhaps this is what central government desires. Orchestrating a race amongst local actors to put together propositions for deals in a short timescale has certainly put them on the back foot and kept the centre firmly in control. Again, a curious approach to localism. Giving some ground on decentralisation in a still highly centralised governance system enables claims of reform and modernisation. The current deals have the look of delegated responsibility with a bit of greater leeway on powers and flexibilities but they are some way short of substantive devolution with appropriate levels of resource. Osborne pulls ‘two rabbits out of the hat’? There were two key announcements in Chancellor George Osborne’s speech to the Conservative Party conference, in Manchester, on Monday (5th October), which captured the attention of the national press and media. The first, heavily trailed in advance, was the establishment of an independent infrastructure commission, to be chaired by Lord Andrew Adonis, which will advise the government on how to plan, invest in and deliver ‘strategic’ infrastructure projects. The creation of a new infrastructure commission could, in theory, enable governments to adopt and implement a long-term, strategic perspective on infrastructure. The commission will be beneficial if it offers innovative advice and guidance on how public and private sectors can individually and together invest in viable schemes. In addition, the commission will receive plaudits if it offers solutions on how individual infrastructure assets and systems can be better integrated across sectors, and how infrastructure can be valued more holistically, and for its economic, social and environmental contributions, moving beyond narrow financial calculations. Adonis brings three elements to his new role. First, he has a well-known interest in a range of infrastructure issues. Second, Adonis led on Labour’s recent review of cities and devolution policy, and was the chief architect of the North East Independent Economic Review. Third, he has been a vocal commentator, and sometimes critic, on the distinct demands and pressures facing London and its existing infrastructure. As head of the new commission, he will be in a position to impart his own expertise and analysis, which should include a recognition of the important, and yet currently under-utilised, role of local authorities in planning, funding, financing and managing infrastructure provision within the National Infrastructure Plan. This would chime with a key recommendation of the iBUILD 2015 Manifesto, which called for greater devolution of infrastructure responsibility to cities and city regions. The creation of the new infrastructure commission is also a tacit acknowledgement that the current lack of strategic planning across functional economic geographies in England is making infrastructure planning, investment and delivery of projects, in areas such as housing and transport, difficult – especially in the London ‘mega city-region’ and adjacent home counties. At face value, the creation of the commission represents the latest effort to ‘de-politicise’ infrastructure. However, it also represents a political move by Osborne who will be acutely aware that, in the run-up to David Cameron leaving No.10 in 2020, the commission could provide valuable cover for an incoming Conservative Party Leader and potential Prime Minister. The second announcement was Osborne’s decision to allow councils in England to retain all the revenue from business rates – an estimated £26 billion. In addition, local authorities will be able to reduce business rates, whilst cities and city regions with elected mayors will have extra powers to add a premium (at a maximum of 2p in the pound) to local business rates to fund new infrastructure projects. While the fine details are still to be fleshed out, the proposal does represent a fundamental change in local government funding, but the move towards wholesale localisation of business rates raises five important issues for consideration at this stage. First, local government will only have the power to reduce business rates, thus this will favour those authorities that are net contributors, of which many are located in London and the south east of England. This has the potential to exacerbate existing spatial inequalities if there ensues a race to bottom as councils engage in aggressive tax cutting. Second, the premium on business rates to pay for infrastructure is an initiative that the London Mayor and London Boroughs managed to convince London business to back as part of the overall Crossrail funding package. London First, the business lobbying organisation, was a key broker in swinging business behind the plans for Crossrail. In future, representative business bodies in other regions and cities will need to play a similar role. At the same time, HM Treasury’s insistence that LEP business board members will be able to veto an elected city region mayor’s proposals to introduce a business rate supplement poses fundamental questions about the government’s stated rationale for elected mayors, which could undermine the mandate of the mayor, and the democratic will of local electorates. Third, greater fiscal autonomy in the form of business rates may have many town hall finance officers breaking out in a cold sweat. The business rate system is creaking, and many local authorities have found it difficult to predict, with accuracy, future revenues. Furthermore, the multitude of appeals within the business rate system has provided additional complications. It is understandable why Osborne has chosen business rates as the tax to decentralise, but the proposed changes come with baggage. Fourth, Osborne has made a bold political manoeuvre, but it is being taken forward with limited evidence to date of ‘what works’ in the different business rate retention schemes within England. For example, do we have a real, in-depth understanding of how the Greater Manchester 100% business rate retention pilot has functioned thus far? Or that of London’s partial retention scheme? And can we say, with genuine confidence, that there are effective monitoring and evaluation processes in place from such ‘experiments’ that can inform new policy in this area? Finally, the ability to raise and retain local revenues is only one feature of fiscal autonomy. Devolved territories and cities will remain hamstrung from planning and making long-term infrastructure investments as long as they lack the powers to undertake direct borrowing of substantial amounts of capital. Until such flexibilities are forthcoming, the Chancellor’s fiscal decentralisation proposals risk being seen as more illusion than reality. By midnight on Friday 4 September, 38 groupings of local authorities, cities, city regions and local enterprise partnerships in England had heeded George Osborne’s call to submit proposals to HM Treasury for new ‘Devolution Deals’, which local areas hope will result in new powers, resources and flexibilities granted in return for governance reform and commitments by local actors to drive local economic growth, primarily through infrastructure investment and renewal. So we can add the prospect of 38 ‘Devolution Deals’ alongside 28 City Deals in England and Scotland, 4 further Deals for Greater Manchester, Sheffield, Leeds and Cornwall and 39 Local Growth Deals, which local enterprise partnerships are responsible for delivering; together making a grand total of 110 deals of some form or another. This gives added weight to the argument that we are now in a deal-making world in local and regional development. The sheer volume of deals, in a climate of austerity and significantly reduced institutional and individual resources and capacity, also begs questions about the efficiency and effectiveness of deal-making as a model of implementing decentralisation from the centre to local government. The 2015 iBUILD Manifesto and Mid-term Review called for infrastructure planning, investment and delivery to be better aligned to city and city region strategies and economies. With City Deals and the potential new Devolution Deals containing strong infrastructure elements, it seems, at least on the face of it, that we are moving in the right direction. However, we should continue to ask whether earlier and more recent developments – through the 110 deals – signal a fundamental shift towards embedding a stronger and longer-term role for local authorities and cities to take greater control over their economies by planning, investing and managing local infrastructure assets and systems? Or are the different variants of Deals simply project and programme-led initiatives, which will last purely for the timescale that particular interventions remain functional? There are three issues worth considering in the aftermath of the latest dash for devolution. First, with gaps still remaining around the levels of local fiscal autonomy that some cities and city regions want and what HM Treasury is prepared to give, local institutions are increasing searching for new and innovative sources of investment for infrastructure and other capital-intensive activity. These efforts, however, continue to run up against the UK’s highly-centralised political economy, system of governance and Central Government’s deficit reduction strategy. Second, the Chancellor of the Exchequer, George Osborne, and Secretary of State for Communities and Local Government, Greg Clark, both insist that ‘substantial’ devolution from the latest Deals will only be considered if city regions and others agree to introduce ‘metro-wide’ mayors. This means that localities are faced with the often difficult process of navigating through local sensitivities and concerns that fundamental reforms to local governance are being introduced without public consent or without a cast-iron guarantee of what Central Government will actually give in return for city regions agreeing to elected mayors. Finally, with 38 new bids on the table, the capacity of Central Government and local institutions to negotiate and agree a large number of new deals will be severely stretched. Expect to see a handful of new Deals agreed in different stages, with the usual suspects ahead of the curve alongside one or two surprises, but equally there will be a large number of disappointed places in the short to medium-term. How Whitehall manages the prospect of initial large-scale ‘gaps on the map’ will be a real test of the Government’s devolution strategy.